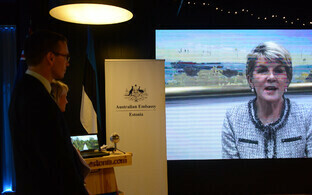 Austalia has decided to open its first so-called pop-up embassy in Tallinn, as discussed by Minister of Foreign Affairs Sven Mikser (SDE) and his Australian colleague Julie Bishop in New York on Thursday. "We are glad that Australia has decided to open its first so-called pop-up embassy in Tallinn, which will undoubtedly increase Australia's visibility in Estonia as well as our region more broadly," Mikser said according to a ministry press release. "An ambassador beginning work at the pop-up embassy will introduce new opportunities to the already constructive and close cooperation between our two countries," he added. 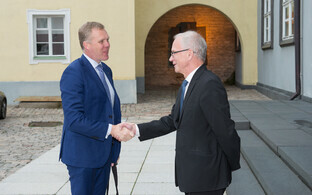 According to the Estonian minister, the experimental pop-up format for an embassy may end up leading to pilot projects for other countries as well. "Let's hope that Australia's positive example in its innovative pop-up embassy will encourage other countries to develop similar forms of cooperation in Estonia," he said. A pop-up embassy is a diplomatic mission in which the ambassador does not work daily, but rather is on site as required.